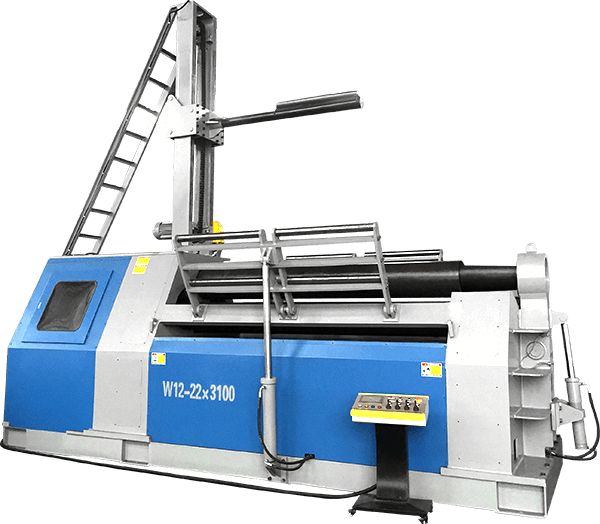 The operator must be familiar with the structure and operation of the roll bending machine, and then the equipment manager will be qualified to carry out the roll operation of the rolling machine. 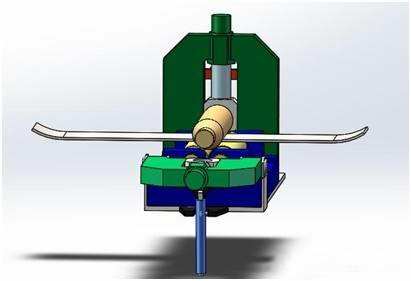 The rolling process must arrange two people to be operated at the same time, a person is responsible for the overall coordination, another person to assist work, two people must cooperate with the tacit understanding in order to finish rolling process of the cylinder. 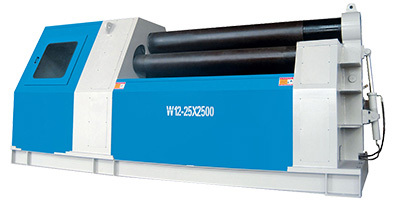 Before use, check whether the rolling machine is in good condition after startup check whether the hydraulic system pressure is normal, the overturned side can be normally closed, when starting the machine the bottom roller of the plate rolls is under normal rotation, to ensure the system operating normally before use. Commissioning plate rolls: To adjust both upper roller and bottom roller to the parallel state by visual inspection. Adjust the center distance to the proper distance according to the parameters of the rollers. 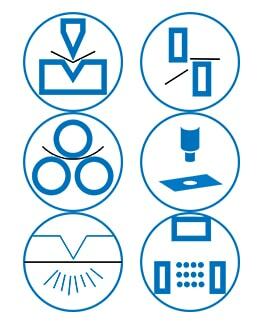 Steel plate surface quality: the cutting edge of the plate shall not have obvious defects, and the surface of the steel plate shall be clean, flat, free of starting layer and scratches, etc. Heat treatment of the steel plate before the roll: for example, 45 # steel, the whole plate must be annealed before rolling, and the low carbon steel shall not be heat treated. 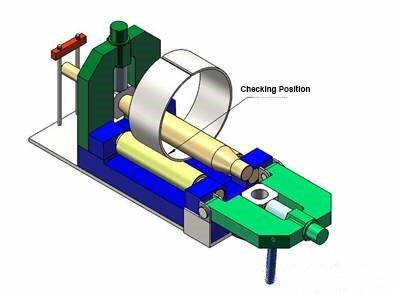 Place the plate for rolling on the roll bending machine, and adjust the upper roller edge paralyzed with the cutting edge of the plate with the visual method, and the error control in the range of ±0.5mm. On the basis of the contact surface for upper roller outer circle and plate, to press 15mm continuously. 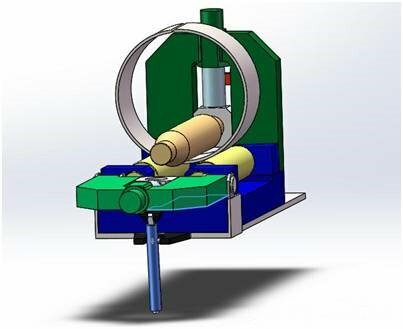 Jog control to rotate the bottom roller, when the plate arc length reaches 600-800mm, stop the rotation. Again press the upper roller for 10mm, rotate bottom roller and stop it when the end of the plate tangent to the bottom roller. Repeat press upper roller, rotate bottom roller until the pre-bending sheet arc basically consistent with the sample. 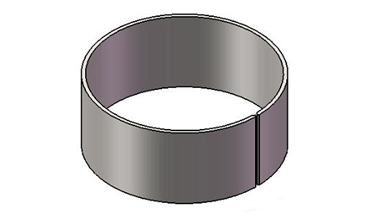 The precurving circular arc should transit to the straight edge, do not allow the dead bending phenomenon, avoid causing subsequent difficulty in roundness correction. The other end of the plate adopts the same method for pre-bending. On the basis of contacting plate surface for upper roller, press 15mm continuously, jog rotate bottom roller. The continuous rotation of bottom roller can be carried out after confirming all the rollers function well. (Note: at this procedure, continuously gear start bottom roller is not allowed, preventing accidents). In the process of rolling, operators must focus the attention when starting the rolling machine. However, for the assisting operator, he must timely and accurate command and cooperate with the main operator when there is the visual blind area for the rolling machine control. To roll circular by pressing the upper roller repeatedly. When the distance of the two ends of the plate reach 800mm, reduce the pressing pressure of the upper roller, drop to 3-5mm each time until the two ends are close together. During the circle rolling process, to observe whether the plate for rolling is offset, and when the offset (visual) exceeds 10mm, stop the rolling process and reduce the error. 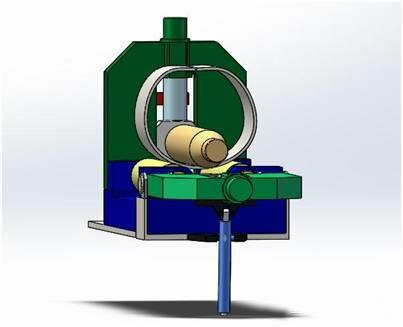 Solution: Lift the upper roller 30mm, when the steel cylinder material is completely loose, move the plate in the opposite direction, and then push the bottom to press the upper roller to the original position, then continue to roll the circle. Edge alignment and spot welding: generally, the edge of the cylinder will not be aligned. 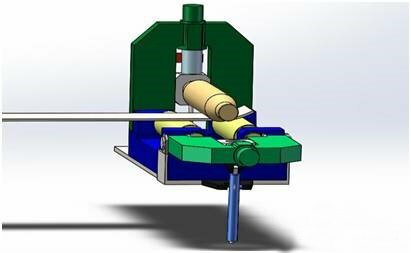 The solution: life the upper roller 5 mm, place one 3mm sheet steel mat under the offset position which contact with the bottom roller, jog control the bottom roller to move the pad into the place between the plate and bottom roller. Press upper roller for 3-5mm, to make the left and right migration move toward the alignment direction. Properly jog control the bottom roller to align the circular surface (measured by sample or ruler). After confirm qualified, spot welding the corresponding position. The spot weld shall not be allowed to be defective, the spot welding position should be strong and effective. Mild steel, such as Q235A, generally adopt the CO2 gas shielded welding machine, welding must be carried out on the weld gouging and weld well, weld joint surface should less than 3 mm, the weld joint residual height should be uniform. If the height exceeds the standard, remove the height by sanding process, to make it less than 3 mm, weld uninformed. The weld joint should have no surface defects. Medium carbon steel: for example, 45 #, after preheating welding, must be rounded and must be annealed after welding. The rolling and welding method is the same as low carbon steel. Special materials: execute according to a specific process. First, put the finished welding cylinder on the plate bending rolls, overturned the side roller, align the cylinder center and make it parallel to the center line of the plate rolls roller. 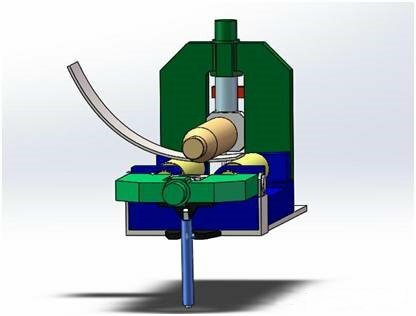 Besides, put the cylinder in the center of the rolling machine to receive the hydraulic pressure evenly. Before roundness correction of none-prebending, the flat parts should be rolled back and forth separately, the press distance is 3-5mm each time until the roundness consistent with the sample by a visual method. Roll the cylinder welding joint to the bottom, adjust the upper roller downward to make it contact with the cylinder. Then lower the upper roller slowly and roll back and forth, starting lower pressure generally no more than 15mm, and the subsequent cylinder will not exceed 10mm per roll. (refer to press distance of the cylinder for one cycle rolling = diameter * plate thickness / 10000). The maximum lower distance of the upper roller of the circle correction(refer to the maximum pressure of the cylinder = diameter * plate thickness / 3000) can be appropriately increased or decreased with the actual need, generally not exceeding 20% of the reference value. When the lower distance reaches the perfect condition, roll 5 more circles to make the stress basically even. Then to measure the inner circle roundness at the place which lower than the horizontal diameter. If the roundness of the cylinder basically the same after measuring the whole circle, then the upper roller can be lifted. 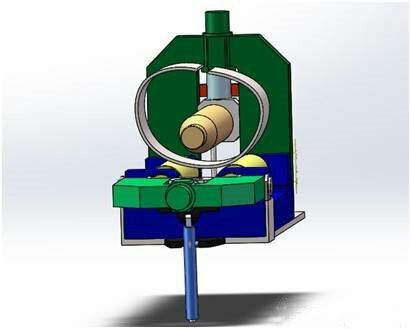 Lift the upper roller: in principle, the upper roller should be moved slowly, and the increase of each turn shall not greater than 5mm, generally 2-3mm. After 3-4 times turn, to make the upper roller don’t contact the cylinder any more. Measuring the inroundness with a tape measure, the roundness is generally less than 10mm, which can be considered to be qualified, and the subsequent need for artificial circle correction to meet the requirements of the drawing. In general, the flame heating method is used to make the roundness correction. 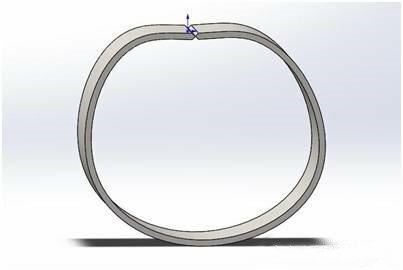 Before the roundness correction, use the sample or the tape measure to mark the maximum and the minimum size as well as the arc position. The mark is accurate and obvious. For circular arc and size unqualified position, heat with flame, generally thick plate with large electrical flame heating, when the heat quickly reach about 600-700 ℃ (such as low carbon steel Q235), take point or linear heating, make the steel plate produces a temperature difference in the thickness direction, to generate local deformation to achieve roundness correction purpose. After the heating position is cooled, measure with sample and tape measure, for those place which is not qualified, artificial circular correction method should be adopted, to make it conform to the requirement of drawing. It’s not able to get to the point just from your simple description and we recommend you to discuss with your machinery supplier to solve your problems.